Opening Times: Club times (Charnwood AC) Mon & Wed 1800-2000, Sun 1000-1230, (LSAC) Tue & Thu 1830-2100, Wed 1400-1630, Sat & Sun 1030-1300. No public times. Track Certification: Full - valid until 30th Jun 2008. However no concurrent PV & running in lane 8. 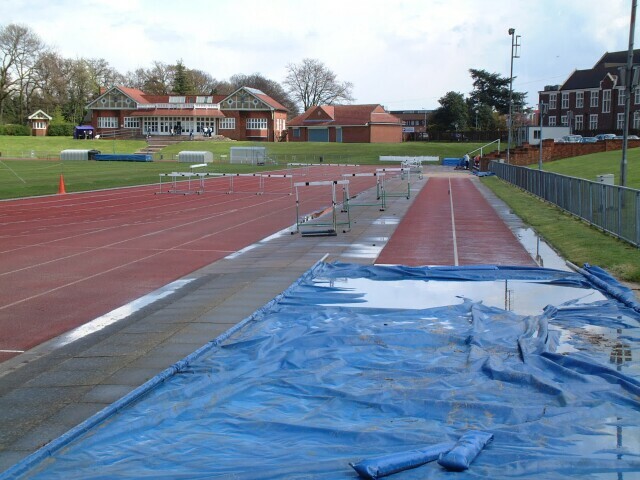 The track was originally cinder and was believed to have been built in the 1930s. It was resurfaced in winter 2002 but by late November had not been marked as yet. There is an indoor straight is alongside the track.